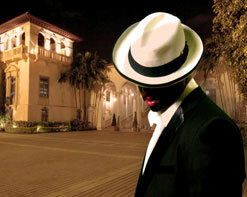 Jeff M. Dixon is able to immediately captivate an audience with his charisma and electrifying stage presence. HIP Video Promo recognized this true vocalist and over all entertainer as an artist who can completely inspire and recreate those most beloved classic R&B elements that artists such as Usher and R Kelly have done so well to create. In his most recent music video “My Baby,” this persona and vibe is emanated by catapulting images of successful choreography and empowering vocal performances. Dixon was influenced at an early age by a multitude of entertaining artists that came before him such as Prince, Stevie Wonder, and Michael Jackson. However, Jeff’s ability to add silky smooth styles of choreography blending jazz, hip-hop, pop-lockin’ dance moves, and expression into his well-framed performance ability adds a certain spice of flavor to this rising star. Live performances showcase Dixon’s musical gifts as a true musician, yet all the while he captivates his audience with live guitar leads and keyboard licks. Jeff’s main passion in life is the creation of his music, and he believes in finding new and innovative ways to truly entertain his fans. His music is more than just what we call a song and dance—his audience always feels the energy and genuine talent being brought before them throughout any performance. With these energetic skills and high-volume movements, Jeff M. Dixon’s stardom has nowhere else to go but forward. No matter the size of the venue, be it large or small, Dixon’s performances have been said to always be “intimate, leaving his audience feeling that they have been truly entertained.” His latest video clip “My Baby” encompasses all of these lasting elements, and HIP Video Promo proudly presents them to you with incredulous honor. Scenes include Jeff Dixon lamenting the loss of love, and we watch as he reflects on a relationship that just didn’t work out. However, “My Baby” holds true to the loyalty and expression-filled love that he feels for his one and only. The song is an R&B ballad, holding all of the true necessities of a successful tune. We watch as Dixon reflects upon his past, intertwining his future ambitions to receive the one true love of his life. A sultry choreographed bridge, or mini interlude, certainly makes due for the performance level of Dixon’s style, and he captivates his audience by presenting a magical guitar riff toward the end that is unforgettable. “My Baby” is a powerful song that emanates sadness, yet holds the power of hope in reference to a love lost but not forgotten. Practically every R&B artist has an image to maintain, but Jeff M. Dixon’s ability to be so smooth and endearing at all times is something out of the ordinary. We have watched as countless artists on the R&B scene have conducted themselves in a way that is socially demeaning, but with large strides of modest confidence, Dixon presents something completely different, yet empowering for contemporary R&B music fans. For more information on Jeff M. Dixon and his latest video “My Baby,” please contact Andy Gesner and the HIP Video Promo staff at (732)-613-1779 or email us atinfo@HIPVideoPromo.com . You can also visit www.JeffMDixon.com for more info on Jeff M. Dixon.